If you're planning to visit Paris during Passover, you may be wondering how to celebrate this important Jewish holiday while still enjoying your stay. Luckily, owing in part to the French capital's large, vibrant and historic Jewish community, it can be easy to do so, provided you head to the right places and plan a bit in advance. 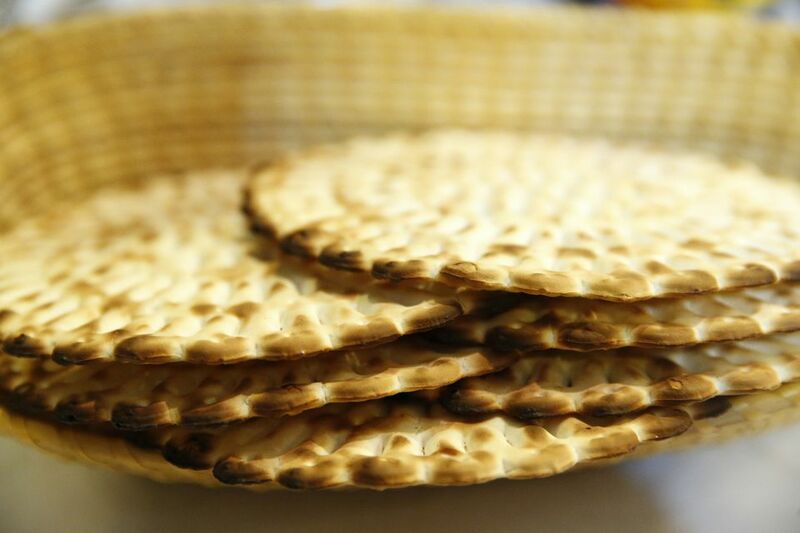 Referred to as "Pesach" by most French Jews and the less-than-accurate "Pacques Juive" (Jewish Easter) by some others, Passover is joyously celebrated by thousands of Parisians each year. There are plenty of food shops and a few restaurants serving or selling delicacies ideal for annual seders. Here are some ideas of where to head for the festivities, which fall between Friday, April 19th through Saturday, April 27th in 2019. Kehilat Gesher is a Franco-American reform congregation that welcomes conservative denominations and generally sponsors a series of shabbat evenings and other activities for Passover. Visit the official website for information on passover celebrations in 2019. Some may be bilingual (observed in both French and English). The Marais district in northeast Paris is home to a lively Jewish community, and the site of the "Pletzl": the neighborhood where French Jews have lived and congregated for hundreds of years, starting as early as the 13th century. Read our guide to the area around the Rue des Rosiers for ideas on where to shop and eat for Passover. While some of the more popular fare (falafel, biyali, strudel, etc) may not be suitable for the occasion, you're likely to find restaurants and shops in the area that will acommodate travellers who observe the holiday in a strict fashion. Looking for kosher food items or traditional goods for a private Passover seder? Michel Gurfinkiel has a comprehensive online guide to kosher food shops and restaurants in Paris. Make sure to call ahead, as many shops and restaurants will be closed on certain or all days during Passover. In numerous neighborhoods around Paris, supermarkets such as Franprix, Monoprix and Casino sell basic Kosher products as well as food items for Passover (Matzoh crackers and other unleavened products). The 11th arrondissement (especially around Metro Goncourt or Parmentier), 20th arrondissement (Metro Belleville or Couronnes), and 19th arrondissement (Metro Ourq, Laumière or Stalingrad) all boast local supermarkets and specialty stores that stock high-quality kosher and unleavened products. Do be aware, though, that in many of these areas Jewish communities are predominantly Sephardic (with roots in North Africa and the Middle East). Therefore, their own observances of kosher dining during Passover are often slightly different from those of Ashkenazi (Eastern European Jewish) ones. Grains such as rice, corn and lentils are, for example, permitted during Passover in most Sephardic restaurants and households. Outside of these neighborhoods and others with significant Jewish communities, it's a bit more hit-and-miss, and stores may or may not stock kosher items. Again, when in doubt, consult Michel Gurfinkiel's guide to Kosher Paris at the link in the previous section. Paris has a remarkably rich (and tumultuous) Jewish history. One way to celebrate Passover in the city might be to learn more about this centuries-old heritage. Visit the Paris Museum of Jewish Arts and History, or take our self-guided walking tour of the Marais district and the old Pletzl for a deeper look at Jewish Parisian life, past and present. To hold in solemn memory those who suffered and perished in the Shoah, meanwhile, the nearby Shoah Memorial and Museum will allow you to contemplate the struggles, suffering, and triumphs of European Jews during the early to mid-twentieth century.